Does Lard Go Bad - Does It Go Bad? So you’ve bought lard as an alternative to butter or Crisco when baking or making pastries. The test turned out a success, and you’re excited to use lard in your future baking projects. Unfortunately, you’re baking only every once in a while, so you’re worried if the remaining fat will last that long. Does lard go bad? Lard, also known as Schmaltz in German-speaking countries, is mostly used for cooking and baking purposes. And while many people keep it in the countertop near the stove to have it on hand, that’s definitely not the optimal place to store it. If you’re interested in learning more about storage, shelf life, and going bad of lard, read on. Storing lard is quite similar to storing another popular shortening: Crisco. That means you should keep an unopened package in a cool and dry area, away from heat sources. The pantry is the ideal place thanks to the lower than room temperature, but a cabinet in the kitchen can work too. If you live in a warm climate and don’t have a separate pantry, store lard in the fridge instead. Once you open the package, the first thing to remember is that you should always keep it sealed tightly. If it comes in a paper packaging that you can’t reseal, you need to wrap it. Using a freezer bag for that is a straightforward and environment-friendly solution. If it’s in a plastic container, it’s okay for long-term storage. When it comes to where lard should sit after opening the package, there are two options. For short term storage, the pantry is a-okay. But if you expect to have the lard around for more than a month, go with the fridge. Refrigerating is the easiest way to maintain freshness of the fat. Last but not least, always use clean cutlery when scooping lard. Using a knife that was already dipped in any other food risks microbial contamination. And while that doesn’t necessarily mean the fat will go bad sooner than it should, it might. And there’s no point in risking that. While the shelf life of lard is quite long, if you need to store it for even longer, you can freeze it. 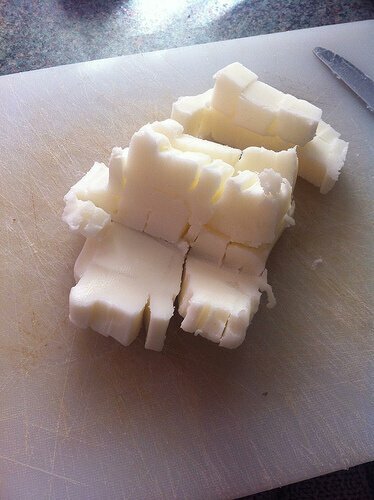 Since food generally doesn’t like being frozen and defrosted repeatedly, it’s best to freeze lard in small portions. This way you can thaw a portion and use all of it, instead of trying to cut a piece of frozen lard or defrosting the whole stick. 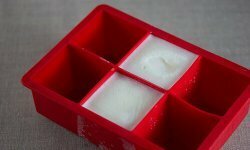 The easiest way to go about that is to freeze lard in an ice cube tray. If the fat is too firm to transfer it to the cubes, leave it for an hour or so on the counter, so it softens up a bit. After the cubes harden in the freezer, transfer them into freezer bags and put right back in. When it comes to thawing, you can either do this in the fridge, or use the frozen fat right away if you need to melt it first. Last but not least, it’s always best to use thawed food as soon as possible, so try to defrost only as much lard as you need at a time. Lard usually comes with a best-by or use-by date on the package. That date is an estimate of how long the fat will retain freshness. Since lard is pretty much fat only, it will easily last for months longer if you store it properly. Also, opening the package doesn’t really change anything when it comes to how long it lasts. As I already mentioned, if it is well wrapped and at cold temperature, it will last a long time. As usual, it’s not really possible to tell how long past the date on the label it will still be okay to eat. Please note that the periods above are for best quality. First, let’s start with the usual signs of spoilage, such as the presence of mold, discolorations, or off odor. If any of these are present, toss the fat out. 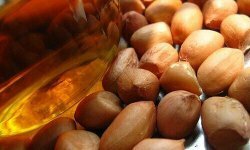 Like with other fats such as olive oil, or bacon grease, going rancid is an option. To find if your lard is rancid, give it good sniff. If it smells off or rancid, throw it away. If not, feel free to give a small amount a taste to check if it’s good enough to use. Given that it tastes okay, feel free to use it. Otherwise, just get rid of it. Poor-quality lard will result in unpalatable pie crust or any other baking project you’re working on. Last but not least, if you already store lard for about a year past the date on the label, just throw it out. It’s most likely stale by this point anyway. Also, if for any reason you start to question if the lard is fresh, discard it too. Humans, thanks to the thousands of generations of our ancestors, have the incredible ability to spot food that’s unsafe to eat. If your senses tell you it’s not safe to eat, you should listen.